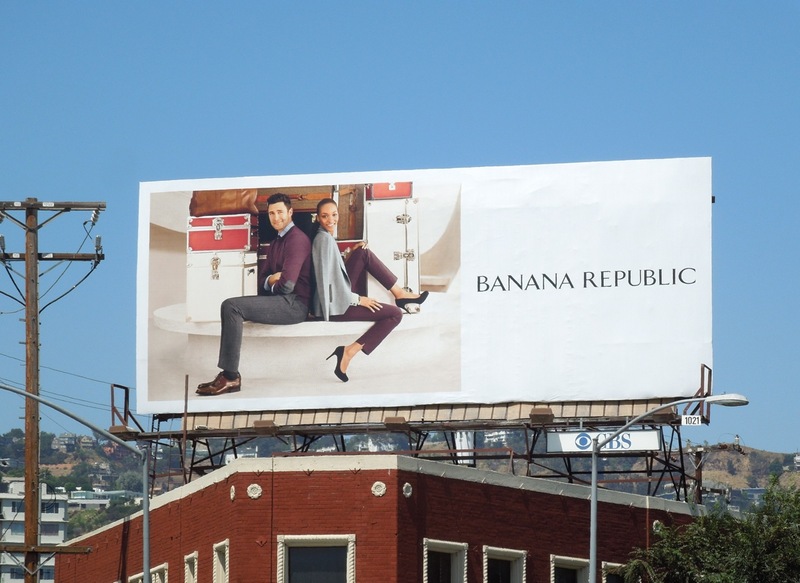 Daily Billboard thinks there's a real easy elegance and sophistication in Banana Republic's latest Fall/Winter season collection ads. 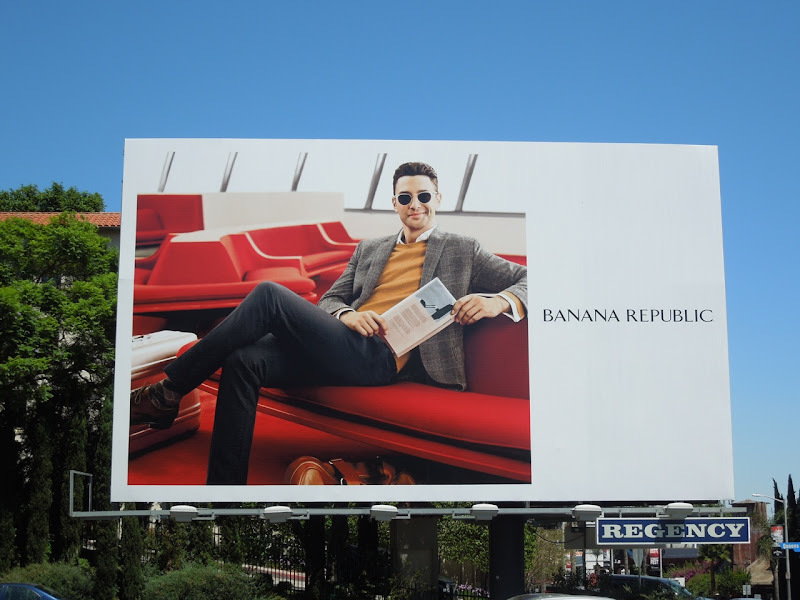 The campaign has a nice travel fashion story, whether it be chilling in an airport business lounge, rushing to a meeting or packing up all your luggage for a vacation. Models Noah Mills and Jourdan Dunn look super-stylish and office chic in Banana Repubic's latest looks in these eye-catching billboards. 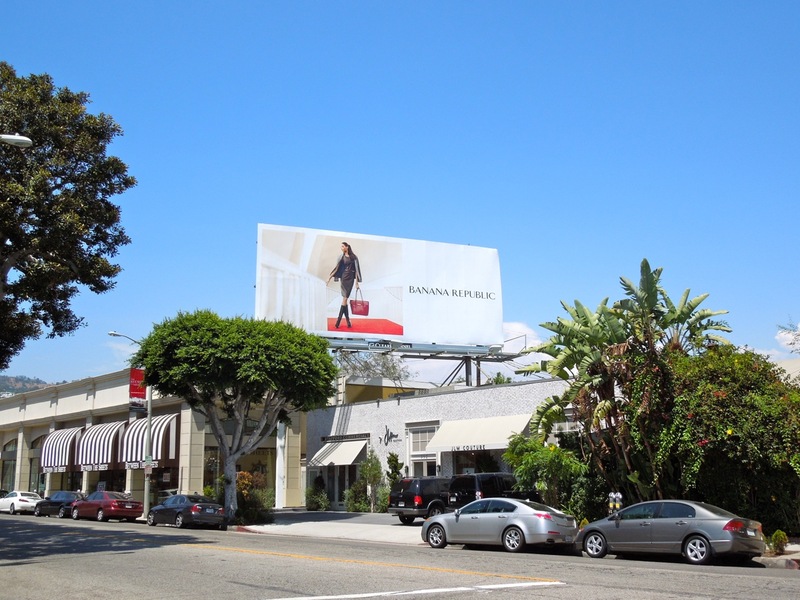 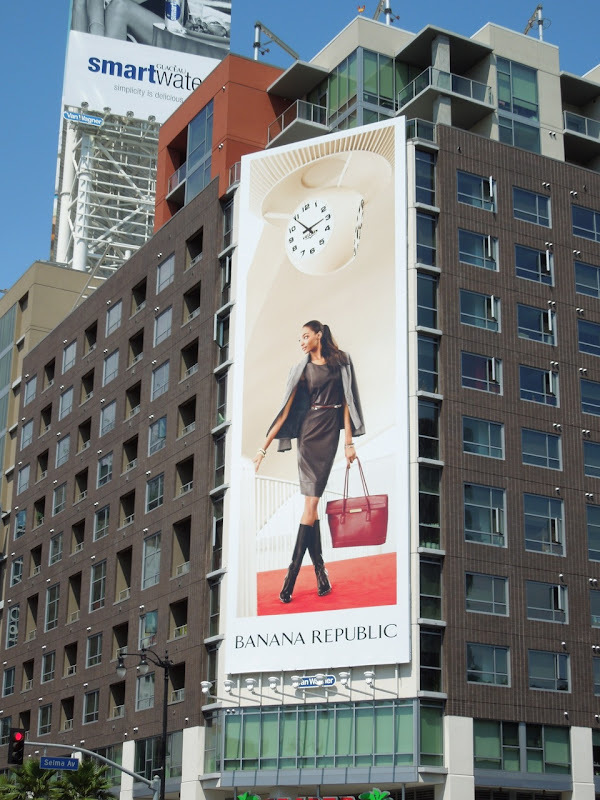 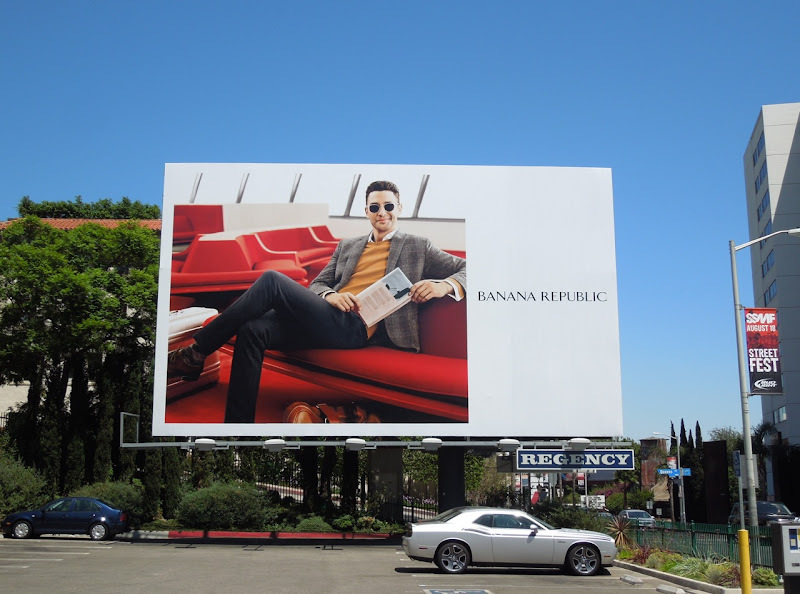 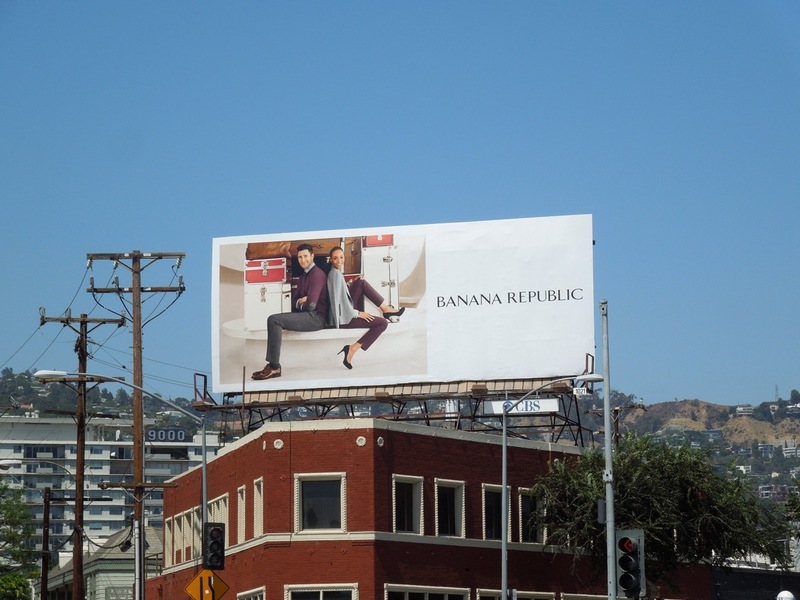 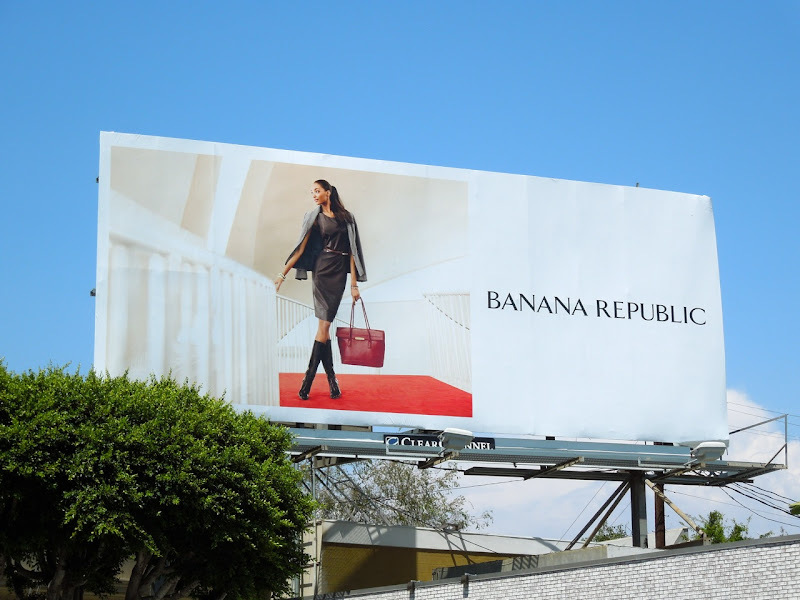 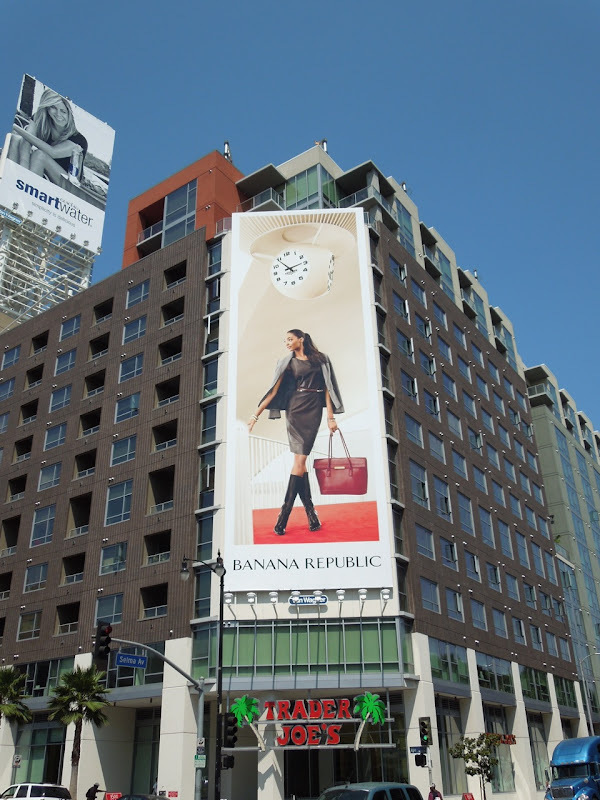 If you're a fan of the fashion brand, be sure to check out more Banana Republic billboards from seasons past. 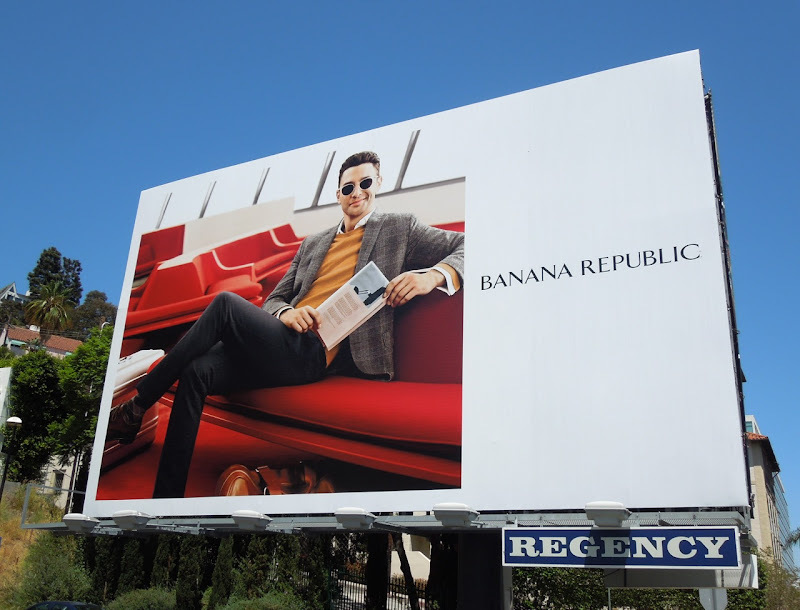 Plus take a look at Daily Billboard's favourite ads for Banana Republic's Mad Men Collection inspired by the critically-acclaimed 60's based TV series.